This week’s finished object is courtesy of Correna. 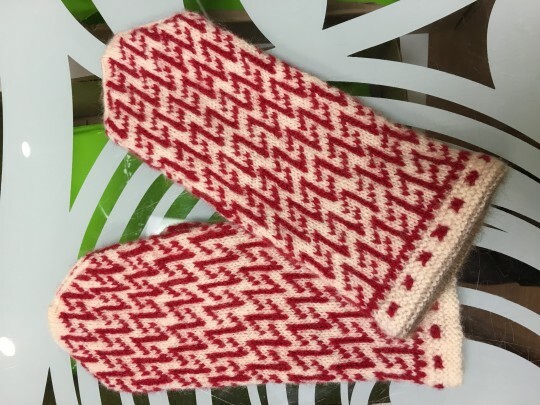 These are her Knit Like a Latvian mitts, and they are fab! Looking good, C! This week’s Friday Finished Object is a gorgeous example of Andrea Mowry’s Briochealuscious shawl. This one was knitted by Dia, and she did such a beautiful job! 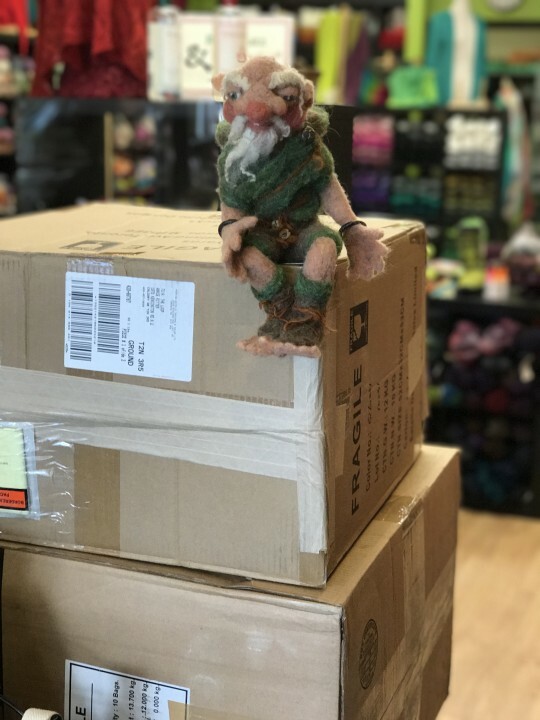 This week, we have a re-stock of Addi needles, accessories, Malabrigo Rios and Arroyo, plus some giant boxes of yarn that Grendel has offered to help Annie unpack. He informs me that we have now got the ChiaoGoo Mini needles back in stock! Thanks Grendel! Our first Friday Finished Object of 2017 is knitted by Leslie. 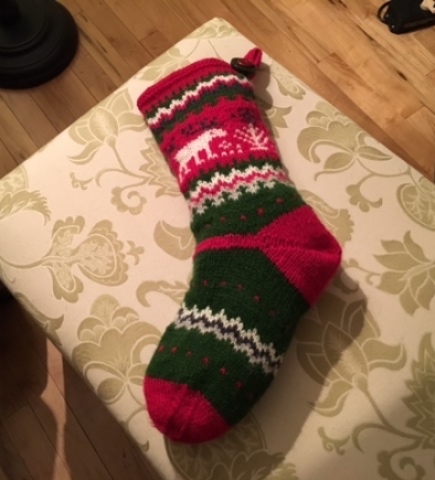 She made one of our “Knit Like a Latvian” Christmas stockings, and she did a wonderful job! Beautiful work, Leslie! Our first “What We Got Wednesday” of 2017!! 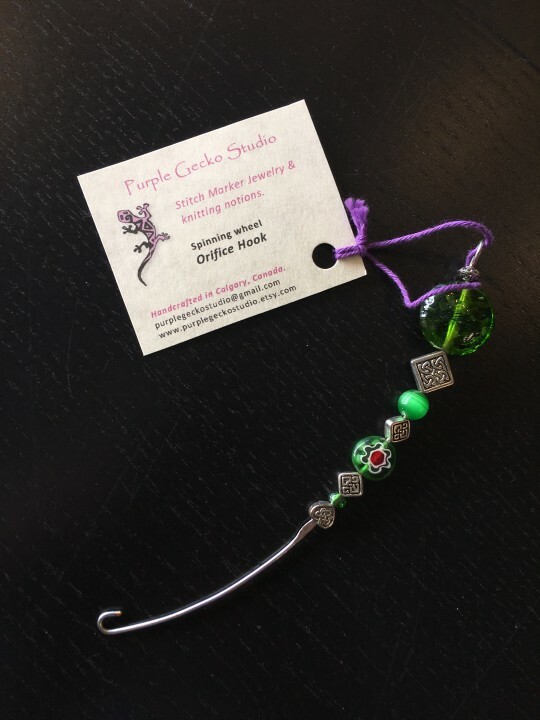 We have some gorgeous new orifice hooks from Purple Gecko Studios! 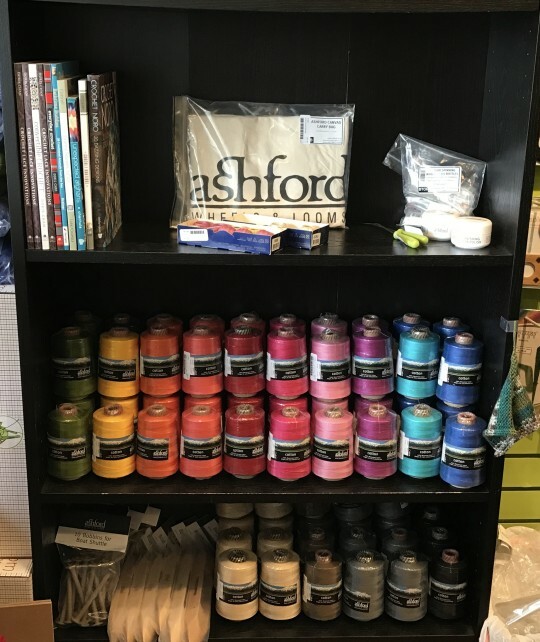 Plus we have re-stocked the buttons, and the Uptown Worsted! Amber always makes the “Wall o’Uptown” look amazing!